Banff is a historic County Town, situated at the estuary of the River Deveron on the Moray Firth Coast, which retains a busy and prosperous feel. The town provides an excellent range of professional, shopping and leisure facilities including an 18 hole Golf Course, Swimming Pool and Leisure Harbour and provides both Primary and Secondary schooling. Excellent salmon fishing is available on the River Deveron with a wide range of both land and sea based sports available nearby. Main railway station and airport at Aberdeen. Macduff is a bustling fishing port on the opposite side of the Deveron estuary from Banff. The Harbour is used as a base for water sports, there is a Marine Aquarium, Tenpin Bowling Alley, a range of local shops, Health Centre, Library and Hotels. Primary schooling is available with secondary schooling thereafter at Banff. Gardenstown is undoubtedly one of the prime seafront villages that lace the Moray Coast, with a thriving village community and primary schooling and a local Hotel. Crovie, lying one mile to the east of Gardenstown, is reached either by a narrow footpath along the bottom of the cliffs or by car down a twisting road requiring considerable care. The village consists of a row of approximately 40 cottages. There is no room between the cliff and the sea for a road so only a narrow footpath on the very edge of the seawall links the cottages. Further along the coast is the village of PENNAN, which achieved fame as the main location for the movie “Local Hero”, and the local Hotel regularly welcomes movie enthusiasts from all over the world. The village consists of a line of picturesque cottages hidden from view by overhanging cliffs. Portsoy is a friendly, active community with a 17th century Harbour made popular by the Tennents Lager commercial, which was based on the film “Whisky Galore”. Primary schooling is available in Portsoy with secondary schooling thereafter at Banff. There are a variety of shops and hotels and a popular playpark at Loch Soy. Portsoy is becoming increasingly popular with tourists both from Great Britain and overseas and the annual summer Scottish Traditional Boat Festival is helping to retain the town on the Tourist Map. Portsoy is associated with a type of marble (really serpentine), which polishes well and found its way into the Palace of Versailles. Aberchirder referred to locally as Foggie or Foggieloan, retains its own original planned straight parallel street. The village square is claimed to be the squarest in Britain and there are many attractive woodland walks around the town. The major local event is the Foggie Show – the Aberchirder Flower Show and Sports – which is held every August and one of the best in the North East. Fordyce is a beautifully conserved village, which has won many conservation awards and is recognised as being of outstanding national architectural and historic interest. It boasts its own castle and an ancient Kirk first mentioned in 1272. The local school was once a noted centre of learning which provided many students for Aberdeen University. 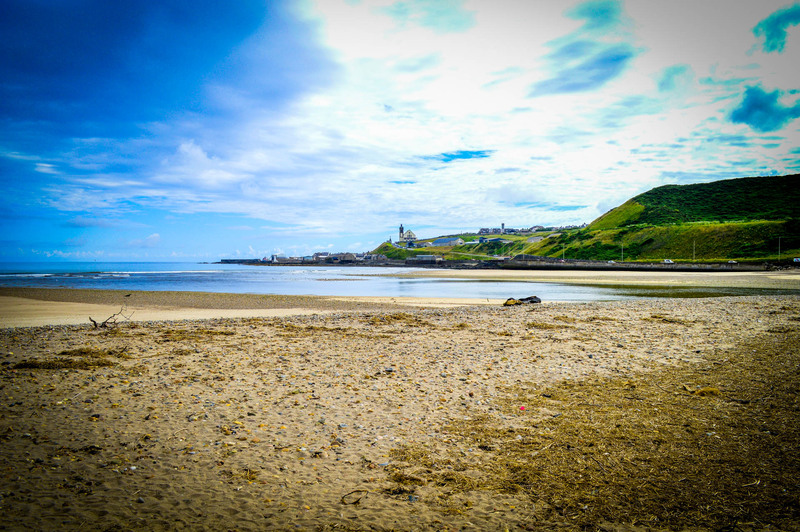 As the name suggests, SANDEND stands at the end of a beautiful, broad, sandy bay, which is one of the most popular beaches in the area. The 19th century harbour is reputedly the smallest in Scotland.